New to the market in 2011, the Grundig S450DLX is a “field” radio styled much like the Grundig GS350DL, the Tecsun BLC-3000 and (most closely kin to) the C.Crane CCRadio-SW. 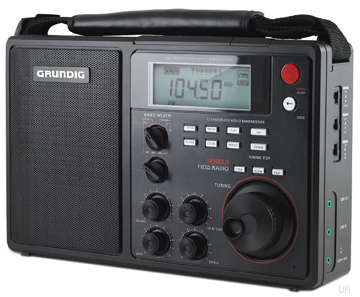 This entry was posted in Grundig, Portables and tagged Grundig, Grundig S450DLX, Grundig S450DLX Reviews, S450DLX. Bookmark the permalink.